Oil and gas company BP is employing "3D seismic'' technology to locate small pockets of previously undiscovered oil in Prudhoe Bay in northern Alaska, the Fairbanks Daily News-Miner reported Saturday. The technology involves metal platforms mounted to "vibe trucks'' weighing about 93,000 pounds that cause the ground to vibrate with sonic energy, officials said. 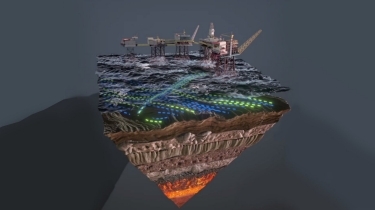 Receivers pick up the returning sound waves and convert the data into a three-dimensional "cube'' depicting the geology below, including the location of hidden pockets of oil, officials said. The 3D seismic survey from January through mid-April will sweep over 450 square miles, the company said.